The annual “10 Worst Toys List” was released yesterday. Number 1 on this list? 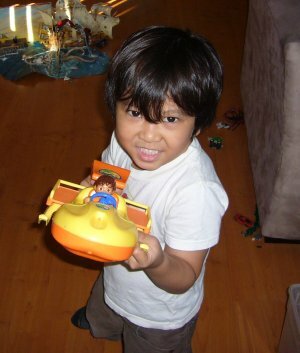 The Go Diego Go Rescue Boat, one of this year's high-profile lead paint recall items. Me: Well Fury, looks like we need to return that boat to Toys R Us. Me: It has lead paint on it. If you lick it, you will die. Marcus: Oh... What about Diego? Can I lick Diego? Me: Oh hey! Let’s build something!